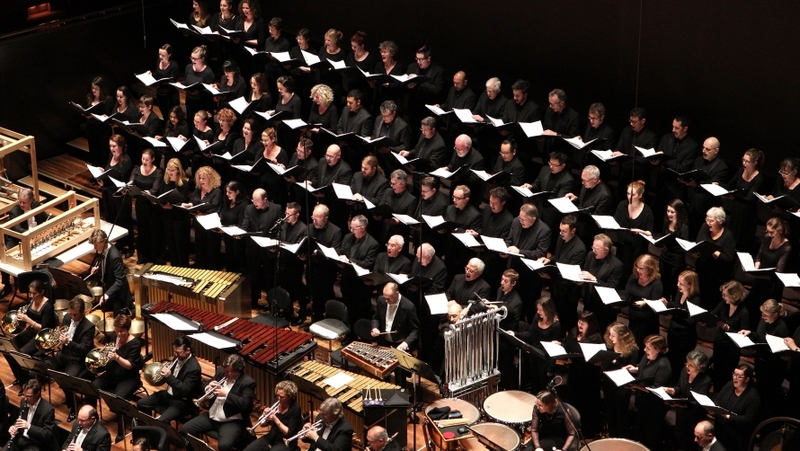 For more than half a century, the Melbourne Symphony Orchestra Chorus has been the unstinting voice of the Orchestra’s choral repertoire, at the same time developing a reputation as one of Australia’s premier symphonic choruses. In 2018 the MSO Chorus will be lead by Chorus Master Warren Trevelyan-Jones and will perform some of the most moving and inspiring repertoire including Elgar’s The Dream of Gerontius, Berlioz’ masterpiece L’Enfance du Christ, Holst’s The Planets and of course, Handel’s Messiah. The MSO Chorus is committed to developing and performing new Australian and international choral repertoire. Commissions include Brett Dean’s Katz und Spatz (commissioned with the Swedish Radio Choir), Ross Edwards’ Mountain Chant (commissioned with Cantillation), Paul Stanhope’s Exile Lamentations (commissioned with Sydney Chamber Choir and London’s Elysian Singers), and Gabriel Jackson’s To the Field of Stars (commissioned with the Netherlands Chamber Choir and Stockholm’s St Jacob’s Chamber Choir). The Chorus has also premiered works by many composers including James MacMillan, Arvo Pärt, Hans Werner Henze, Alfred Schnittke, Gavin Bryars, Valentyn Silvestrov, Arturs Maskats, Thierry Machuel and Pēteris Vasks, and others. Recordings by the MSO Chorus for Chandos and ABC Classics have received critical acclaim. It has performed across Brazil and at the Cultura Inglese Festival in Sao Paolo, in Kuala Lumpur with the Malaysian Philharmonic Orchestra, with The Australian Ballet, Sydney Symphony Orchestra, West Australian Symphony Orchestra, Barbra Streisand, at the Melbourne International Arts Festival, the AFL Grand Final, and the Sydney Olympic Arts Festival. This year the Chorus will again perform at the Anzac Day commemorative ceremonies, continuing its strong association with the Veterans community. The MSO Chorus is always welcoming new members. If you would like to audition please complete an audition application form.